only issues I had was that the mobs were not behaving at all, and couldn't break any blocks. Were you around the spawn? MC by default prevents block breaking/placing within X blocks of the spawn. What issues were you having with mobs? Hostiles seem to work Ok for me earlier. I am in the process of packaging a new update. Most (not all) of the mods have been released for 1.4.6 now. Still waiting on Inv tweaks, and mo creatures, both of which we can live without. Should have it ready in about an hour from now. I little while ago I noticed a huge amount of lag on the server, which might have been what you were noticing. It was caused by dynmap. We are currently using an alpha version, and it's a little flaky. I purged the queue, which solved the problem. I also paused all updates for now. 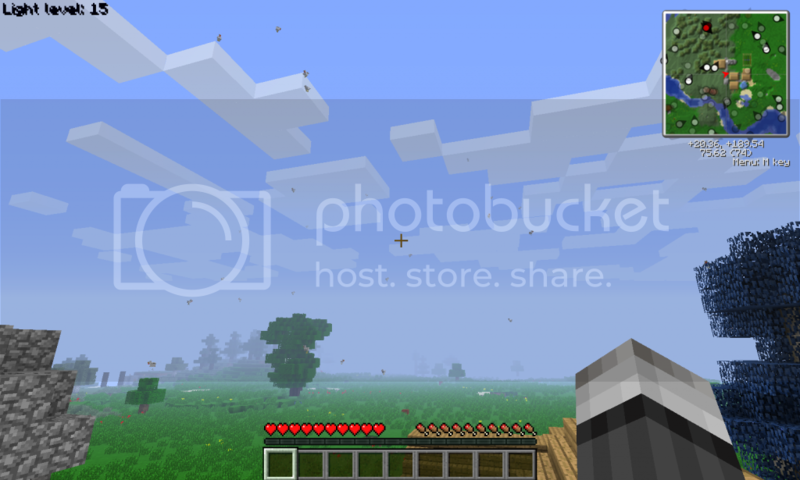 are we putting cameracraft back in? thought that was causing issues in the 145 server. Yes, it's added back in. I removed it due to NEI issues. He added the needed NEI support, so should be ok now. NEw server and client are up. Link is on the main screen. Once they come back up I can test the new forge. If everything seems to work ok, I will bring down the production server and swap out the jar. I will be preparing the client now. looks like there was a release for gregtech today too.. There's one almost everyday There are actually a few mods we need to update, but I want to get the forge update out first. on a side note, download this single player world...random typing of letters for seed, fly to +140,+71 for a huge (as in size) glitch of of a city. Anyone else notice that it is raining chickens? I think the issues might be the chunk generation, but not sure. I am restarting the server now. Give it a few minutes as it is taking a while to save chunks. apparently the mystcraft world I am in is causing the server to crash, you might want to delete that world and see if I can get in after deletion.